Thomas started diving during college and has since been diving over most of the world: Australia, Indonesia, Iceland, France, and many other places. He is a NAUI instructor and a commercial diver, and participates in environmental and archaeological diving projects around the world. Pause for 2 seconds before exhalation. Your dive ends when your bottom time runs out — at least theoretically. For many divers, though, the dive ends when one or more divers run low on air. 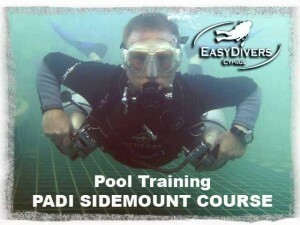 The easiest way for many of us to extend our dives is to focus on air consumption. These tips will help you get the most out of your tank. It’s simple physics: the larger your profile in the water, the more energy, and thus air, you’ll consume. Consider the difference between a bulky semi-truck and a streamlined sports car. In the water, you’ll want to be a sports car. Go over your gear setup and make sure everything is tucked away neatly, creating the smallest possible in-water profile. A number of divers seem to dive with the saying “it’s better to have it and not need it than to need it and not have it” in mind. They bring so much stuff on each dive that it seems like they’re carrying their entire gear bag. Often, they think it’s easier to just clip everything to their BCD than to assess their gear before each dive to determine what they’ll need. There’s some merit to this, but bringing too much gear weighs you down and increases your profile in the water. So bring the things you need and leave behind the things you don’t. And don’t forget to square it all away neatly. Diving is the lazy man’s sport, someone once told me, and there’s much truth to that. Diving is not swimming, and you’re not really supposed to get your heart rate up. So slow down — and not just underwater. Get into a relaxed mindset even before you get to the dive site; when you start gearing up, don’t rush. Don’t linger on the dive deck unnecessarily, of course, but go about things in a deliberate, calm manner. Swim calmly and slowly underwater. The more you rush and fidget, the more air you’ll consume. Note the difference between deep breaths and big breaths. When you tell people to breathe deeply, many people will forcefully inhale, filling their lungs to the brink. A deep breath should be just that, but it doesn’t have to be a big breath. To learn to breathe deeply, lie down on a firm surface, like a yoga mat or a firm mattress. Put one hand on your chest and one on your stomach. Now breathe, but try to breathe in such a way that only the hand on your stomach moves. This way, you’re filling up the bottom of your lungs, rather than the top, which is what happens when only your chest moves. A deep-belly breath replenishes the air in your entire respiratory system, rather than just part of it, as when you breathe from the top of your lungs. An easy way to extend How To Make Your Air Last Longer and dive time is to take full advantage of the traditional multi-level dive profile by starting your dive deep and moving to increasingly shallow water. Here, we consume less air, so simply moving shallower reduces your air consumption drastically, and with that, extends your dive time. If you’re the air hog of a group, you can, to some extent, offset this by placing yourself slightly shallower in the water column than the other divers. And just by making a habit of ending your dive in the shallows, you’ll ensure that any dive you do can be extended quite a bit. One easy way to improve your air consumption is quite simply to dive more. Most of the above pieces of advice require some practice, so diving a lot will definitely help you master them. Diving more also helps you become more comfortable in the water, which, in turn, helps a lot when it comes to conserving air.